When it comes to popular wine regions in Western Australia, Swan Valley often comes to mind. Boasting excellent geological conditions such as dry summers and fertile soil, Swan Valley is one of the oldest wine growing regions in Australia, dating back to the early 1800’s. 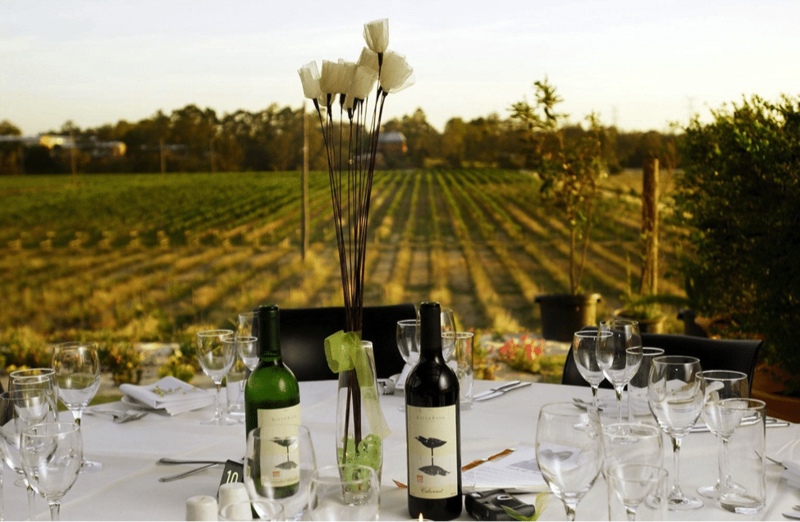 It is no wonder that our Swan Valley Wine Tours are a popular activity for those looking for a fun and indulgent day out in Perth. The hot and dry climate in Perth makes it one of the warmest regions in Australia for growing grapes. But despite this, many vineyards, especially the older ones, do not use irrigation. The lack of humidity results in little disease and most vineyards would be deemed organic if it weren’t for the herbicides used to control weeds. Swan Valley features three main soil varieties. Swampy and sandy country is typical of the western side of the Swan River. Along the riverbanks boast the most productive soil – deep alluvial loam. The eastern side of the Swan River between the Darling Range and the river flats has tough laterite soils of gravelly clay loam over coffee rock. The grapes grown in Swan Valley are moderate in acidity and that helps winemakers produce a unique style of sparkling wines, which are crisp and light in nature. Wine grapes planted in Swan Valley make fresh, dry, and light wines that do not require any traditional liquoring to maintain balance. While Swan Valley produces a wide range of wines, it is most noted for its fortified wines. Some popular liqueur style wines are Verdelho, Muscat, Shiraz and Pedro Ximenes. White wines produced in Swan Valley possess the beautiful quality of maturing into toasty flavoured wines as they age for up to 20 years. Young white wines usually start off crisp, fresh, and light. The oldest and most widely grown varieties are Chenin Blanc and Verdelho. Our Swan Valley Wine Tours take you to some of the best wineries to sample the distinctive wines from the region. While the white wines are notable for their beautiful qualities, the reds have a great reputation too, as the grapes have lower tannins than wines from other regions. Both Cabernet Sauvignon and Shiraz are enjoyed, however Shiraz is particularly special. Loved for its ripe flavours of liquorice, prune, chocolate, plum and spice, the Shiraz is also rich, soft and toasty flavoured. Being only 30 minutes from the major capital city of Perth, Swan Valley is extremely accessible as it is the only wine region in the world closely connected to the central town. 32 kilometres of scenic driving and more than 150 places to eat, drink and have fun, makes Swan Valley the perfect destination for all visitors, whether you are a die-hard wine lover or just enjoy the occasional sip. Furthermore, there are world-class art galleries and wildlife parks that make Swan Valley the ideal location for both solo trips and family holidays. Busy breweries, fine dining restaurants, cafés, and roadside stalls are some of the added attractions of the Valley. No visit to Perth is complete without a trip to the breathtaking Swan Valley region. Check out Top Gun Tours’ Swan Valley Bus Tours for an indulgent day that will never be forgotten. Posted in Wineries & Vineyards and tagged wineries Swan Valley on 13th June 2017.